The 38-year-old reality star is currently studying to become a lawyer, and it has now been claimed that she's "focused" on her goal of taking the bar in 2022 despite having received some backlash from critics, and wants to pursue the career path in the hopes of helping other people. A source said: "Kim realises that some people are laughing at her for the lawyer thing, but she really doesn't care. She is focused that this is what she wants to do, and she's going to do it, regardless of what people think. "[Kim] believes that she's been gifted with a very tall platform, and that she needs to use it to do some good in the world." And insiders believe the 'Keeping Up with the Kardashians' star will make a great attorney, as she already has several of the skills needed, including a "fantastic memory". They added: "[Kim is] extremely well-suited to be an attorney. "She has a fantastic memory. She can process multiple things at once. She's great at multitasking and at time management. She can grasp very complex concepts. She has a very strong sense of what she believes, and is extremely persuasive. She's also a very hard worker. "Kim more than holds her own in discussions of religion, politics, law. She is extremely well-informed. She knows what's going on in the world." 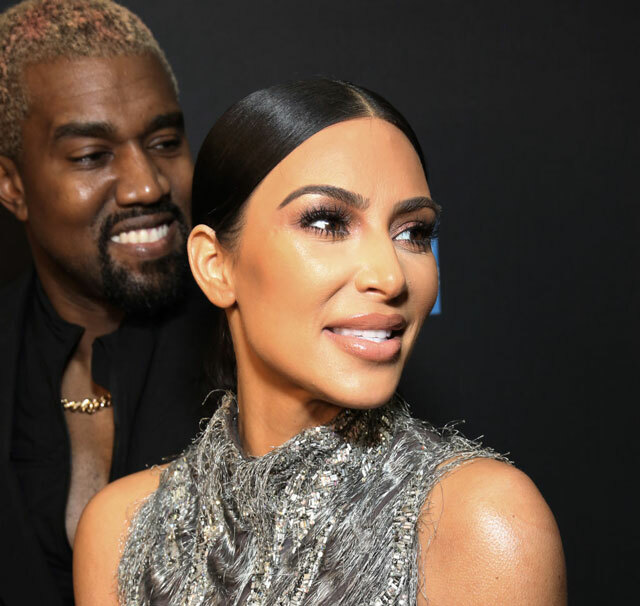 The KKW Beauty founder already has the support of her spouse Kanye West, with whom she has North, five, Saint, three, Chicago, 14 months, and a fourth child on the way via surrogate. Speaking to People magazine, the source said: "Kanye is Kim's biggest cheerleader about becoming a lawyer, and he thinks she'd be an amazing one. He's 100 percent supportive of her. He checks in with her all the time to see how the studying is going, if there's anything she needs, how he can help. He wants her to follow her passions. He thinks she'll be a fantastic lawyer." The 'Keeping Up With The Kardashians' star took to social media to reveal she passed her test with flying colours on Wednesday (17.04.19). Alongside a pencil and book emoji, she wrote on Twitter: "Aced my test btw (sic)"
Earlier in the day, Kim had been posting pictures of her study session on Instagram. Sharing her hand-written revision notes and prompt cards with definitions for standard of care and breach of duty, she wrote: "Torts Test Tomorrow. (sic)"
The revision post came after Kim insisted she is very focused on her studying and has hit back at her critics who told her she should stick to being a reality star. Khloe Kardashian has posted a cryptic message on Instagram, insisting that not everyone "deserves her kindness". The 'Keeping Up With The Kardashians' star has posted a string of cryptic posts on photo-sharing site Instagram, just a couple days after she was reunited with her ex Tristan Thompson at their daughter's first birthday party. Posting on her Instagram story, she shared the quote: "Don't kill people with kindness, because not everyone deserves your kindness. Kill people with silence, because not everyone deserves your attention." And in another cryptic post, she shared: "People hate when you show them how it feels to be treated the way they treat you." It had been reported that Tristan and Khloe had "very little interaction" at their daughter True's first birthday party, which was one of their first meetings after the basketball player cheated on the reality star with her former friend Jordyn Woods earlier this year. A source said at the time: "Tristan attended the birthday party with some friends. Khloé seemed a bit nervous about having him there, but there was never a question if he would be invited ... Everything went smoothly. The 34-year-old reality star now wants to "move on" with her life. She wrote at the time: "This has been an awful week & I know everyone is sick of hearing about it all (as am I). I'm a rollercoaster of emotions & have said things I shouldn't have. Honestly, Tristan cheating on me & humiliating me, wasn't such a shock as the first time. What's been harder & more painful is being hurt by someone so close to me. Someone whom I love & treat like a little sister. But Jordyn is not to be blamed for the breakup of my family. This was Tristan's fault. I have to move on with my life & count my blessings, my family, my health, & my beautiful baby True. (sic)"
The 4,700 square foot property featured four bedrooms and five-and-a-half bathrooms, as well as a hugeterrace. 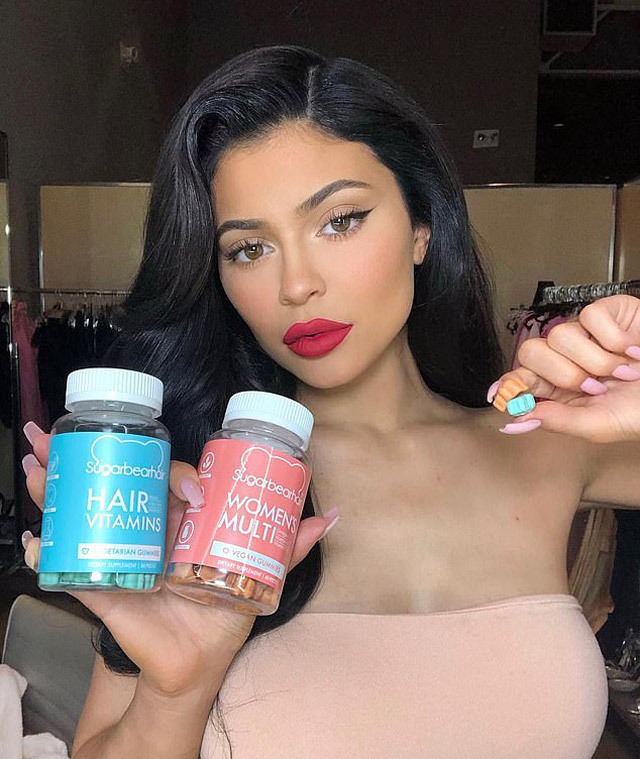 Kris Jenner's daughters charge a "six figure" sum for sponsored social media posts, although they charge more if the product is "pharmaceutical". Speaking in an upcoming interview for 'CBS Sunday Morning' - which will air this Sunday - Kris added: "Sometimes, If it's Kim, or if it's Kylie, it depends on what it really is. [If it's] a pharmaceutical product, if it's something that you're going to drink, or ingest, or put on your body, [the price goes up]." Kim Kardashian West's favourite place is her bed and she always "sleeps perfectly". The 'Keeping Up With the Kardashians' star - who has children North, five, Saint, three, and Chicago, 15 months, with husband Kanye West and is expecting their fourth child via a surrogate - admitted her bed is her favourite place to be but her spouse is "crazy" when he's asleep. She said: "My husband sleeps crazy, sheets all over the place. I sleep perfectly. It's my favourite thing to do: get in bed." The 38-year-old beauty also loves getting behind the wheel of her car. She told America's Vogue magazine: "I do. I love it. I'm a good driver--a safe driver." Kim doesn't care that people may perceive her to be shallow or not very bright because she knows she has it in her to change people's minds. She said: "I don't pay attention to that anymore. "I love to be put in a situation where I can have a conversation with someone who might not be inclined to think much of me, because I can guarantee they will have a different opinion and understand what's important to me after they've met me." In the interview, the brunette beauty revealed she is studying to be a lawyer and her older sister, Kourtney Kardashian, thinks she has what it takes because she's very persuasive, particularly when it comes to dealing with their mother and manager, Kris Jenner. She said: "It's because she seems to have all the answers or something. Like she just kind of knows. "Khloé and I can be a little argumentative with my mom. But Kim knows what she needs to say so that my mother can hear it and she can get her point across." The 41-year-old rapper caused a stir online when he publicly tweeted his support for controversial US president Donald Trump, and Kim - with whom he has North, five, Saint, three, Chicago, 14 months, and a fourth child on the way - has admitted his views caused "such an issue" in their relationship, because she "used to care so much" about how people online saw her spouse. She said: "He doesn't represent either side. But he doesn't want to be told what he should be. It can be confusing. I get it ... I can be sitting there crying: 'OH, MY GOD! TAKE OFF THE RED HAT!' Because he really is the sweetest person with the biggest heart. I stopped caring, though. Because I used to care so much. I was making it such an issue in our relationship. And in my life. It gave me so much anxiety." And it isn't just Kanye's views that the 'Keeping Up with the Kardashians' star has "stopped caring" about, as she also says she no longer "pays attention" when critics make false accusations about her. Speaking to Vogue's May 2019 issue, she added: "I don't pay attention to that anymore. I love to be put in a situation where I can have a conversation with someone who might not be inclined to think much of me, because I can guarantee they will have a different opinion and understand what's important to me after they've met me." 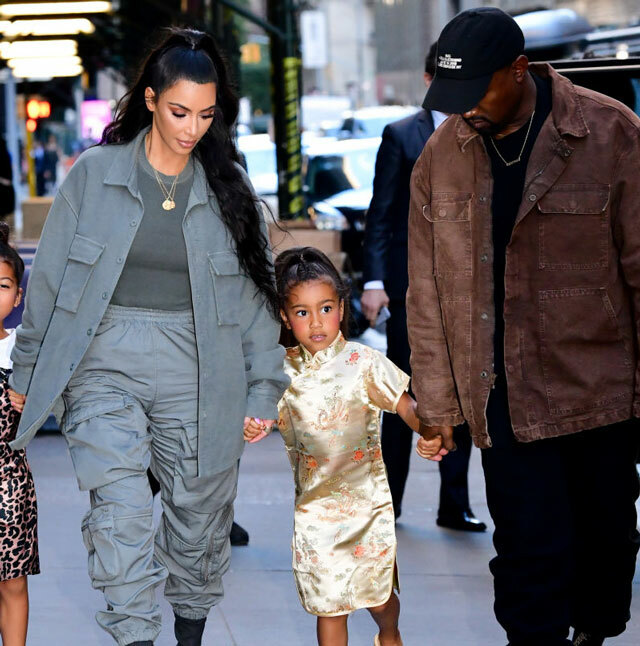 Meanwhile, Kim was recently reported to be finding it "difficult to prepare mentally" for the arrival of her fourth child, who is being born via a surrogate mother, just as her third tot Chicago was last year. An insider said: "[Kim] feels unprepared, [but] as soon as the baby is born, she will feel better. She thinks it's difficult to prepare mentally for a new baby. "Kim and Kanye are both very excited. Chicago grew so quickly, so they are happy about having one last baby in the house. But this is it, they both say. Four kids is the perfect number for them." Kendall Jenner's "biggest fashion regret" is "wedge sneakers" but she also admitted that she had "several" fashion faux-pas's when she was "younger". The 23-year-old model has fallen victim to "several" fashion faux-pas when she was younger because she was more experimental with her wardrobe and "didn't know what was happening". She told Vogue Australia: "Biggest fashion regret? I mean I have several from when I was younger and just did not know what was happening and what I was doing. [There's] nothing that I can pinpoint but there are definitely a couple! "I hate saying never but maybe wedge sneakers - I feel like I'm kind of over the wedge sneaker." The brunette beauty previously admitted that she tries to dedicate a lot of her time to "self-care" and puts her "mental and physical health" first because it is of the upmost importance. She said: "Self-care is a huge thing for me. I've really dedicated a lot of time to it in the last two years. A couple of years ago, I was working a lot -- probably more than I should have, to be honest. It was really starting to mess with my mental and my physical health, and I came to the point where I was like, what am I supposed to do? "I kept hearing about meditating and was skeptical about it, but decided [to] just do it. So I sat down for four days with a teacher and learned TM (Transcendental Meditation) and really dove into it, and I started to see such a difference in my mental health." And the brunette beauty explained that she has "fallen victim" to social media and compared herself to other "beautiful women" online. She added: "I think that [self-care] ties into our day and age and social media. We can't say that we all haven't fallen victim to seeing other beautiful women online and seeing this perfect picture that everyone creates, because you do create it, by the way." There will be massages and a tea ceremony with crystals, she said while promoting her new line of sunglasses. The baby, the second boy for Kardashian West and husband Kanye West, is due soon. It’s her second by surrogacy. 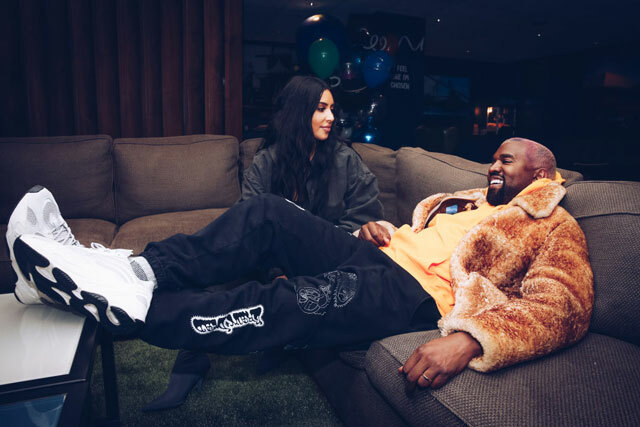 Kardashian West said she’s done with traditional baby games and showers after three but thinks her kids will benefit from a party ahead of the birth to help them celebrate the surrogacy situation. That’s what happened with her oldest two when Chicago, her third and first by surrogate was on the way. To further enhance the relaxation idea: “We’re going to have a drink at this baby shower. We’re not pregnant,” Kardashian West said. Khloe Kardashian isn't ready to date again after her painful split from Tristan Thompson. The 34-year-old reality TV star was left devastated when her partner Tristan Thompson - who is the father of her daughter True - allegedly kissed family friend Jordyn Woods recently and Khloe has decided to take time to enjoy being single rather than rush into another relationship. A source told ET: "Khloe is really enjoying the single life, and spending time with True! She still feels betrayed by Tristan but she isn't allowing that to affect her happiness any longer. Khloe loves with all of her heart and gave Tristan another chance but that relationship is over for good. Khloe is taking time to be single, enjoy her friends and family and focus on her business. "Khloe is in no rush to start dating seriously, but she is someone who has a lot of love to give and would like someone to enjoy her time with in the future." Meanwhile, Khloe recently said she thinks she needs to start dating "accountants" rather than basketball players. After NBA star Tristan allegedly kissed family friend Jordyn Woods, and her former husband Lamar Odom cheated on her with multiple women, Khloe agrees with her grandmother that she needs to find love away from the basketball court. Appearing with her sisters on 'Jimmy Kimmel Live! ', the host asked her: "I do want to ask about this character that you had a baby with. Is it time to stop dating basketball players?" Khloe replied: "I don't know. I like what I like. What can I say? "But I do agree. I should have listened to my MJ, my grandmother, and start dating like accountants or something like that." The 'Revenge Body' host insisted she is genuinely a fan of the sport. Asked if she actually likes basketball, she replied: "I actually do. I don't play basketball. I just like basketball. It's the whole thing of it all." 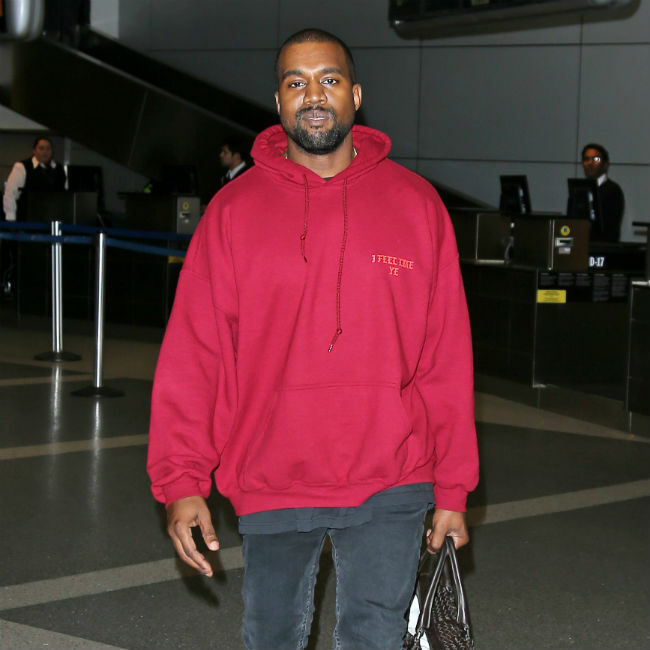 Kanye West didn't see the funny side when his children played an April Fool's joke and claimed their mother was dead. The 'Stronger' rapper was left unimpressed by five-year-old North's "ridiculous" April Fool's joke, which saw her enlist the help of her three-year-old brother Saint to cover the 'Keeping Up With the Kardashians' star in ketchup like a "bad scary movie". Kim - who insisted she didn't realise what her daughter was planning - said: "[North and Saint] are starting to get closer now that she can include him in her jokes. "She roped him into an April Fool's prank yesterday that was ridiculous. She took ketchup into my bathroom, and she begged me to let her spread it on me, and on the bathroom, as if it was like a bad scary movie. "Then she asked me to lie down. I thought she was just playing, maybe that she was going to say I was hurt. No. "Kanye ran upstairs and he was like, 'Kids, this is not funny. This is not a good prank.' "
While the 38-year-old beauty agreed with her husband, she was also "impressed" by the team work employed by the pair, who also have a 14-month-old sister, Chicago. She added in an interview with America's Elle magazine: "I completely understand and I agree. But it did make me a little impressed that they planned something together, and they were getting along and having fun as a team." Kim - who is expecting her fourth child via surrogate - admitted she worried about her children not being as close as she is to her own siblings. She said "I do worry about them getting along, because for my sisters and I, we were just so close growing up and obviously still are. And I want them to be, too!" 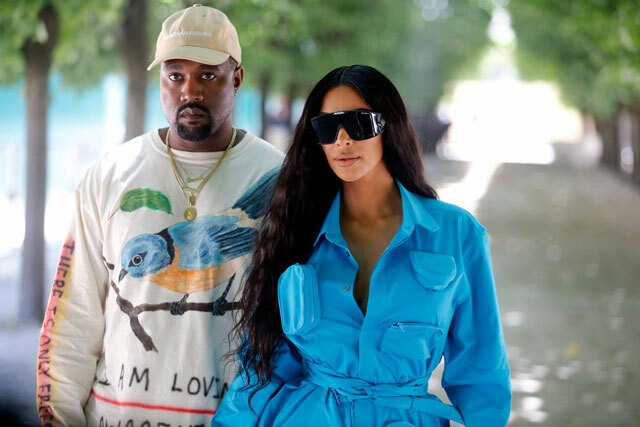 Kim Kardashian West has spoke out about the importance of "forgiveness" in the wake of the Khloe Kardashian and Tristan Thompson cheating drama. 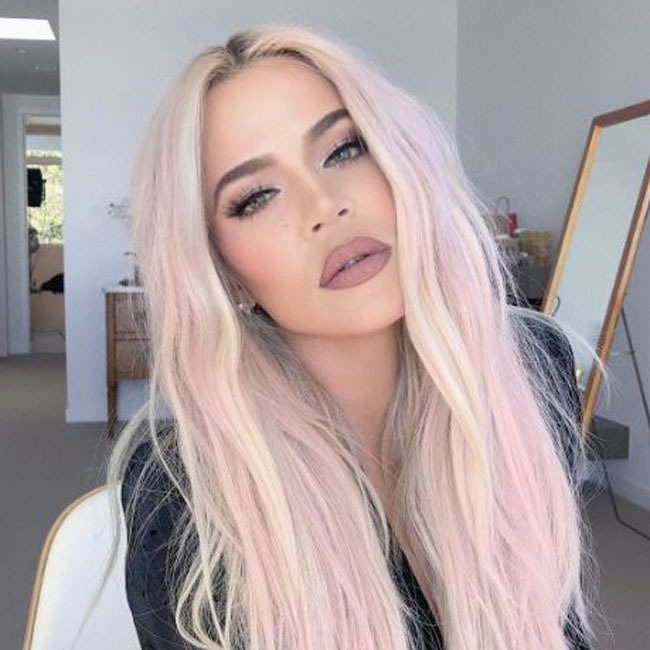 The 'Keeping Up With The Kardashians' star was said to be fuming with Khloe's former partner when he cheated on her with Kylie Jenner's best friend Jordyn Woods but it seems she is on the path of forgiving him now and she hopes he has learned a "lesson" from what happened. She told Entertainment Tonight: "I think there's always a time and a place for everything and I think boundaries are good, lessons are good, forgiveness is good. It's all good, but you really have to talk to the people that were more involved." Her comments come after it was previously claimed Kim was "so angry" for Khloe. The insider shared: "Kim is the one who is really upset about this. She's livid. She's so angry, and she's 100 percent on Khloé's side. She's there for Khloé, letting her vent and talk about it. They've been in constant contact, and Kim is totally supportive. Guys may come and go, but the bond between the girls is never going away, and they're committed to supporting each other." Kim treated Khloe to a vacation so she could process what happened. The source added: "Kim took Khloé to Palm Springs one night before the weekend so she could have a relaxing getaway. She's doing okay ... Her family continues to support her. Everyone is trying to cheer her up and be around to help. They all still talk a lot about what happened. Their opinion hasn't changed - what happened between Tristan and Jordyn is inexcusable." Kim's husband Kanye West has also been very protective. They explained: "Kanye thinks of himself as the godfather in this family, and he has the mindset that if anyone messes with one of them, they mess with them all. So right now, Tristan and Jordyn are on his list. If he never talks to them again, it's fine by him. He wasn't close to them in the first place. He's protective of the Kardashian women, all of them, and if anyone hurts them, he will always be their biggest advocate. He's 100 per cent on Khloé's side.